In case of severe pain, doctors often prescribe medicines with strong opioids in them. Diamorphine, also known as medical heroin, is one of those potent opioids that are used particularly after an agonizing surgical operation to ease the pain. It is also commonly prescribed to alleviate cancer discomfort or following a heart attack. These opioids influence the nervous system to reduce the pain that your brain feels and communicates to the body. Diamorphine is either administered as an injection or prescribed in the form of tablets. In most cases, patients who are prescribed medicines like diamorphine for pain relief are able to stop taking them when the pain subsides, without facing any difficulties. However, there are people who use these drugs for the happy feeling that is induced by them. Such people often get addicted to its euphoric aftereffects. As is with any form of opiates, when a user is dependent on the drug, they soon develop a tolerance for it as the body adapts to the opioids and its effects become weaker. To get the same high, users increase the dosage, thereby increasing their dependence on the drug. When the user continues to abuse the drug for its rhapsodic effects, they are likely to become physically dependent on it after some time. Users experience dire withdrawal symptoms when discontinuing diamorphine, which makes it hard to give up the addiction. These people must seek medical intervention to successfully overcome the craving and withdrawal. Overdose of this drug can cause loss of consciousness, erratic breathing and extreme lethargy. Even though death due to diamorphine overdose is an uncommon occurrence, it is likely to happen if a recovered user takes the same dose that he was habitual of before withdrawal. Behavioral treatments to treat diamorphine addiction can be done in an outpatient environment. Contingency management and cognitive-behavioral therapy (CBT) have proven to be successful de-addiction approaches to treat diamorphine dependence. Some therapies involve contingency management systems where a user earns points every time they are confirmed negative on a drug test. These accumulated points can be later exchanged for items that promote a healthy lifestyle. Cognitive-behavioral therapies focus on modifying patient behavior and expectations associated with the use of drugs. It also makes them capable of dealing with life stressors. The trick is to find the right balance between patient needs and treatment method. Diamorphine relapse is a real risk, especially in the initial phases of recovery. The addicts can meet dealers selling diamorphine or may get tempted when left alone without supervision at home. However, these risks can be eliminated in an addiction treatment program. It is a sterile environment with no drugs permitted inside the facility. Rehab programs are full of people who want to get rid of their addiction and staffers who want to help you reach that objective. People registered in outpatient treatment centers benefit the most from therapy sessions that are aimed at discussing and learning about surviving diamorphine addiction. Sometimes, the therapy sessions are held in private between the therapist and the addict. These sessions are intended to offer personalized assistance that will help the person overcome their addiction. It is also common to undergo group therapies for recovery. It may not always be fun, but it is not supposed to be fun. The stellar thing about this is that everyone has gone through the same thing as you and is going through the same thing as you. No one can get through the program by bottling up like Hancock did in the eponymous movie Hancock. And you certainly cannot get through the program by acting like Mickey Donovan in the show Ray Donovan. That is not going to work! Group settings create a sense of belonging, an element that may have been missing from the lives of people who got addicted to diamorphine. These people had previous habits of hiding what they felt and refraining from examining their behaviors. However, group therapies encourage these people to come out and share. It helps them feel less out-of-place and build stronger communication skills that can allow them to communicate effectively with friends and family in the future. Sometimes, people in addiction therapies can choose how they want to be healed. Some programs are planned around exercising that helps them repair cardiovascular damage caused due to overuse of diamorphine. According to an article published in the International Journal on Drug Policy, research has shown that people with drug addiction found exercising to be a pleasant experience. They especially loved the mental boost induced due to high-intensive activity. They also enjoyed the natural high that came with fitness sessions, helping them accelerate their recovery process. How long Will The Outpatient Treatment Take? The length of an outpatient addiction treatment program for diamorphine de-addiction can vary according to the specific requirements of an individual as well as the treatment philosophy and approach of the facility. 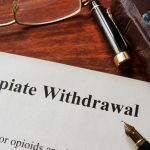 A recovering diamorphine addict may expect to spend 2 to 6 months in outpatient care, while the treatment may extent up to a year or more in more serious cases.